Did you know that your oral health affects your overall wellness? Regular visits to James River Family Dentistry can protect you from far more than cavities. At James River Family Dentistry, we want each of our patients to have the best oral health possible. We will teach you the proper techniques to brush and floss to reduce plaque buildup and help prevent decay. More adults lose teeth due to periodontal disease than decay. With a daily brushing and flossing routine, it is possible to reverse the inflammation in your gums that can lead to gum disease. We are excited to teach you the proper ways to care for your teeth so your regular dental checkups are a breeze. Sleep Apnea occurs when airflow is blocked during sleep, partially awakening the sleeper. This can lead to heart issues, as well as depression and sleepiness. Symptoms of this condition include gasping while sleeping, loud snoring, waking up with a headache or sore throat, insomnia, forgetfulness and depression. James River Family Dentistry offers treatment options we believe will get you back to sleeping well, and improve your overall quality of life. These devices will assist in opening up your airways, ensuring you uninterrupted sleep. 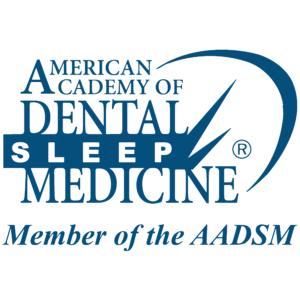 If you believe you, or someone in your home, may be suffering from sleep apnea contact us today to set up a consultation.